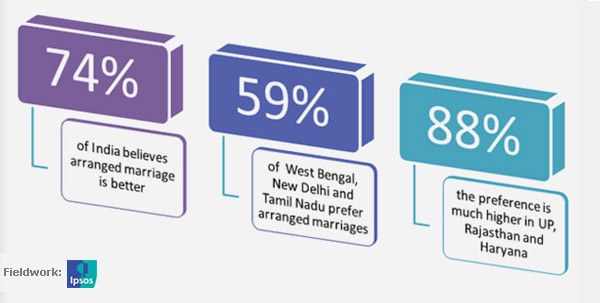 NDTV mid-term poll: Does India still want arranged marriages? NDTV brings you a massive opinion poll in a special show with Dr Prannoy Roy, every day LIVE at 9 pm (IST) from August 27-31. Love or arranged marriages? This is what India wants today. 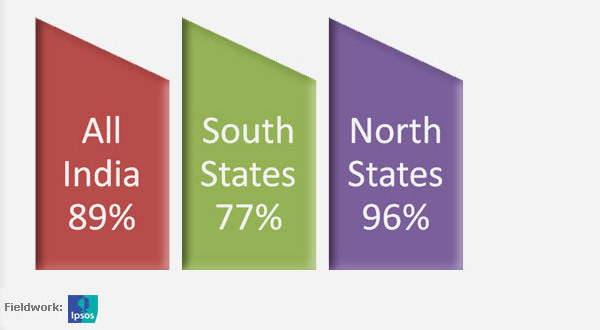 The poll was carried out in 125 constituencies spread over 18 states (these account for over 20% of the 543 Lok Sabha seats). Each Lok Sabha constituency was selected using a statistical formula based on voting patterns of 2009 Lok Sabha Elections. In each Lok Sabha constituency, two to three assembly segments were selected at random where approximately 100 interviews were conducted in homes. For the voting intention question, the respondents were given a mock ballot paper on which the symbols of the parties were set out. They were asked to mark their preference on the ballot paper and then place the ballot paper in a mock ballot box. Disclaimer: The Mid-Term poll results as depicted on this web site are based on a survey conducted by an independent entity. Due care has been taken to make this page an accurate source of information. However all surveys are subject to sampling error; the sampling error in this poll does not exceed ±3%.